Update: Since writing this post, India has seen a slew of new bikes with bigger and more powerful engines. CBR 250, KTM Duke 200 and the Duke 390 have revolutionised the motorbiking scene in India. More on this in our next post. Have been wanting to vent my frustration regarding this topic for long. Don’t know if you have noticed, during the late 60’s n 70’s n 80’s we had bikes like Jawa, Yezdi 250 / 350, Bullet, Rajdooth 175 and Rajdooth 350. All these bikes had over 250cc engine capacity except for the Rajdooth 175cc model but the irony was that we didn’t have enough good roads to use their full potential. Today, we have ring roads and express highways but none of these good old bikes are available to ride on. Sad to say that our country is still stuck at the 100cc, 125 and 150cc category. Pulsar and Karisma have taken a bold step and gone ahead to launch 180 and 225cc bikes. Royal Enfield / Bullet is the only age old model still in existence with its heavy duty 350 and the occasional 500 cc versions. Even bikes like the Bullet which has survived the test of time has not thought of manufacturing a twin cylinder bike. WHY?? Is it less fuel efficient?? Maybe, but then who cares when u’r getting the pleasure of riding on one of those beasts…. So my wait continues for the first Indian twin cylinder to be launched since I can’t afford to own an imported bike yet. This is what started my passion for automobiles and I’m glad that this bike is still shining in my parking lot. 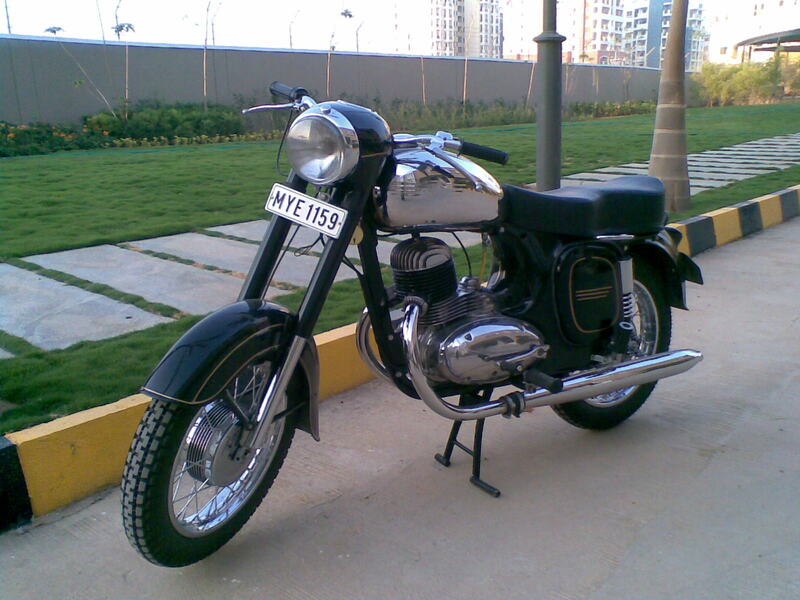 I’m talking about my the Czechoslovakian Jawa made in Mysore by the Ideal Jawa Company between 1960 and 1996. This black beauty belonged to my father who used it since the 70s and was quite popular in the town of Dharwad for its distinct thumping sound. I would get to share his ride sitting on the petrol tank. Slowly but surely I started falling in love with this machine even though it sported a meager 12 horses. This bike has never let me down and I even managed a rally on it. Ended up spending a lot of time and money to bring it back into its original shape though. Even after all these years and having used many new bikes, my liking towards this machine never goes down. This prompted a few of us to start the Bangalore Jawa Yezdi Motorcycle Club to help other restore their bikes. Even to this day, when I bring this out for a occasional ride, people look at the bike and ask a whole lot of questions. 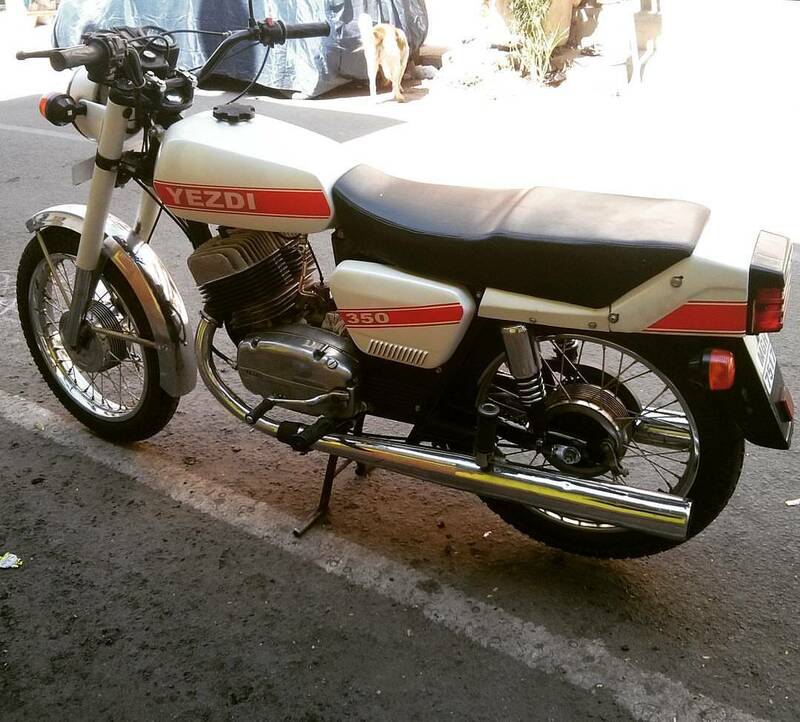 Update: Since writing this post, i’ve managed to acquire two more lovely bikes from the Jawa stable – a Yezdi Roadking on which we completed the Leh ride (click here to read all about it) and a rare Jawa 350cc twin (one of the 750 bikes produced in India).